Verisign SSL certificate installation and troubleshooting help. Available at Brainpulse with Extended Validation, and 128-bit minimum to 256-bit encryption. 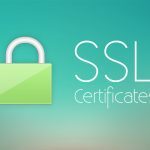 SSL is protocol developed by Netscape for transmitting private documents via the Internet.SSL works by using a private key to encrypt data that's transferred over the SSL connection. Both Netscape Navigator and Internet Explorer support verisign SSL, and many Web sites use the protocol to obtain confidential user information, such as credit card numbers. By convention, URLs that require an Verisign SSL certificates connection start with https: instead of https:. Standard Secure Server IDs enable 128-bit or lower bit SSL sessions depending on the level supported by the browser. 40-bit SSL is strong enough for most Intranets and lower-volume Web sites, and 128-bit verisign ssl certificates encryption is the worlds most powerful encryption model commercially available in India. 128-bit SSL encryption has never been broken: according to RSA Labs, it would take a trillion years to crack using todays technology. Global Secure Server IDs automatically ensure a minimum level of 128-bit verisign ssl certificates encryption when communicating with any kind of browser versions of Netscape Communicator and Internet Explorer. The encryption power of Global Server IDs make them ideal for sites that exchange sensitive, personal information, such as credit card numbers, with customers. VeriSign is one of the only providers authorized by the U.S. Department of Commerce to sell 128-bit SSL IDs, and may sell them only to specified categories of organizations, including online merchants, health care organizations, insurance companies, and banks and financial institutions. Certificate of Incorporation (Needs to be attested by authorized signatory with the company seal on it). Signature, Full name and designation of the Authorized Signatory on the first page. Initialization by the Authorized Signatory all the important pages of the document. BrinPulse partners with Thawte and Verisign. 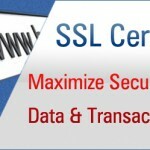 Buy your choice of SSL Certificates and give your website's the required credibility of security and reliability.